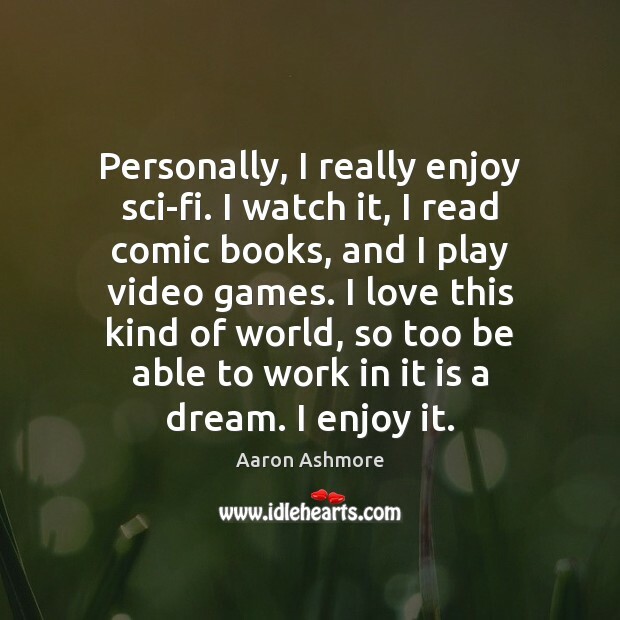 Enjoy the best inspirational, motivational, positive, funny and famous quotes by Aaron Ashmore. Use words and picture quotations to push forward and inspire you keep going in life! 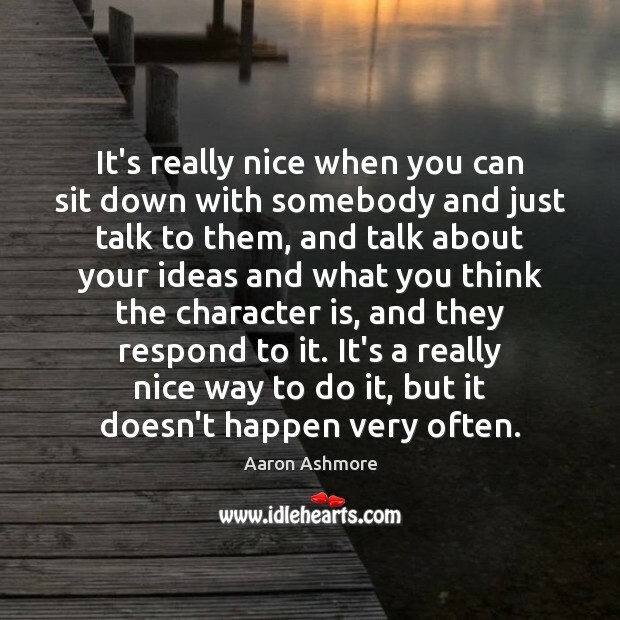 It's really nice when you can sit down with somebody and just talk to them, and talk about your ideas and what you think the character is, and they respond to it. It's a really nice way to do it, but it doesn't happen very often. There are so many sci-fi fans and it's such a big business now. 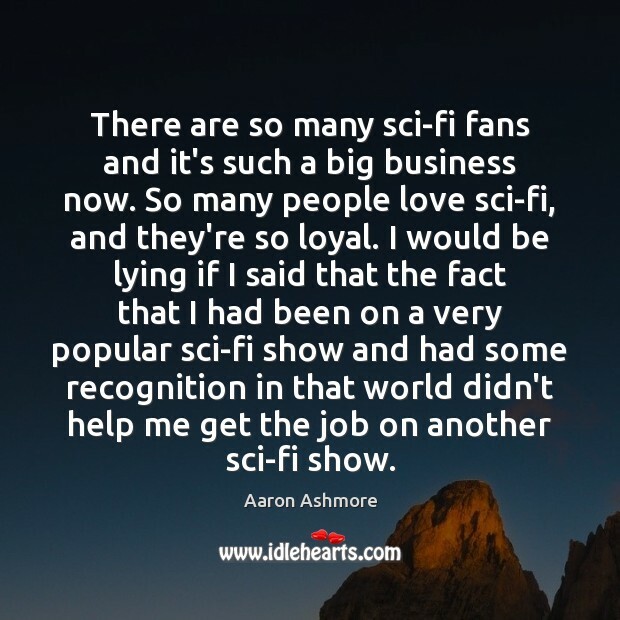 So many people love sci-fi, and they're so loyal. I would be lying if I said that the fact that I had been on a very popular sci-fi show and had some recognition in that world didn't help me get the job on another sci-fi show. Sometimes when it comes to the iconic kind of moments, when I read the script for the first time, you get little goose bumps or something because it really is kind of exciting. Personally, I really enjoy sci-fi. I watch it, I read comic books, and I play video games. I love this kind of world, so too be able to work in it is a dream. I enjoy it. With a popular show, you know that there's expectations there, so that's a little nerve-wracking when you're new and you're just trying to find your legs on something, but it's exciting, too, because that's what we work so hard for. 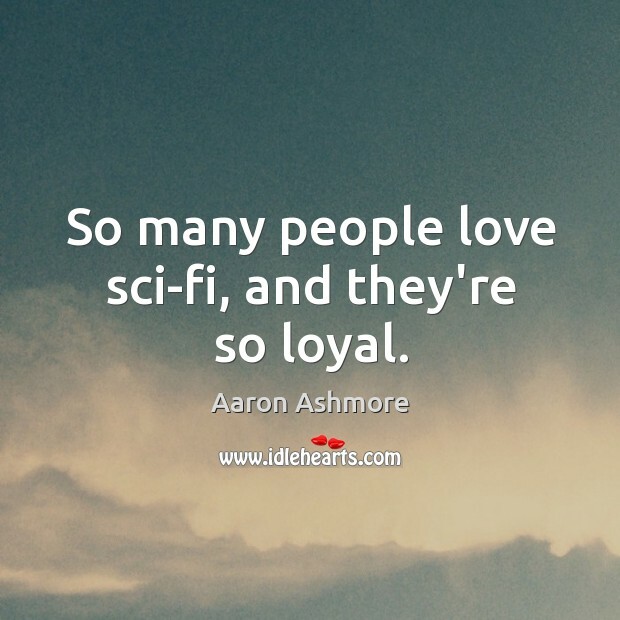 So many people love sci-fi, and they're so loyal.